I moved to Cleveland in 1975 after college with plans to stay a short time, then move to a “cool” city. Little did I know that I would make this place my home for the next 40+ years. And I don’t regret it. In the mid-70s, Cleveland was a very gritty city with polluted air that would settle on everything around it, leaving an orange crust that would pit the finish on cars. Lake Erie, after nearly 200 years of industrial abuse, was polluted with dead fish that littered its shores. During this period, our river, the Cuyahoga, actually caught fire. This led to a series of jokes that lasted for years. Downtown Cleveland was only a place to work which would become deserted after the evening rush hour. In earlier days, Cleveland was the home of John D Rockefeller, founder of the Standard Oil Company. It was a wealthy industrial city that was the home to many multi-millionaires whose wealth grew even greater due to the lack of an income tax. These wealthy industrialists invested heavily in arts and culture of the city, which still benefit us today. 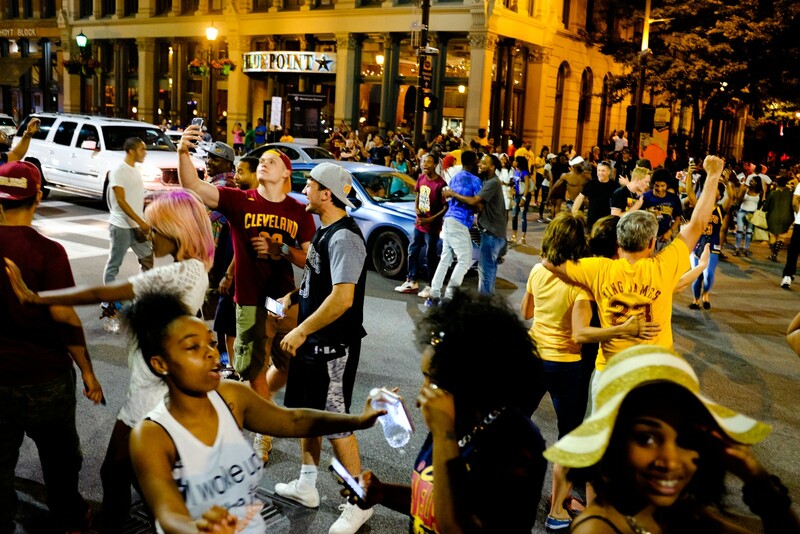 Clevelanders are noted for being highly enthusiastic about their sports teams and big events. 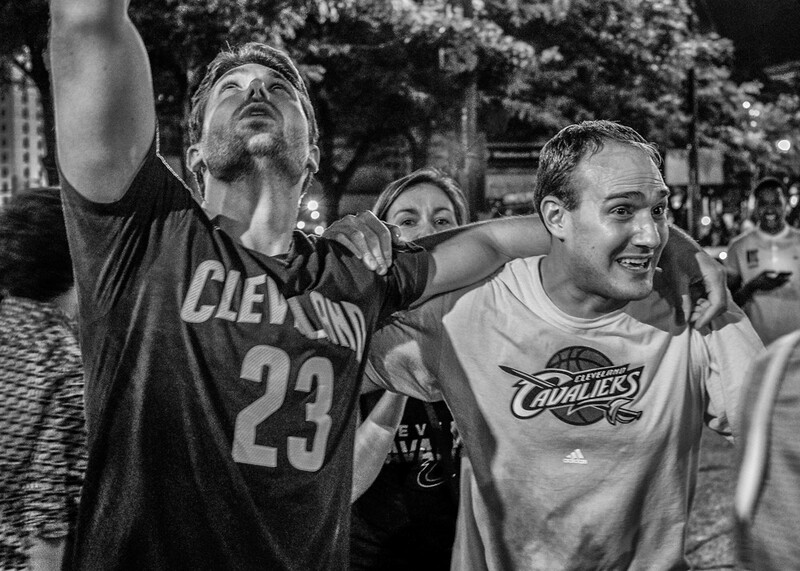 I caught theses guys celebrating in the street after the Cavaliers won the NBA Championship. Over the past 40 years, we worked together with Canada, Michigan, Pennsylvania and New York to clean up Lake Erie. Today it’s clean, beautiful and a priceless resource enjoyed by millions each year. The city has knuckled under and transformed itself from failing industrial city to thriving modern metropolis. 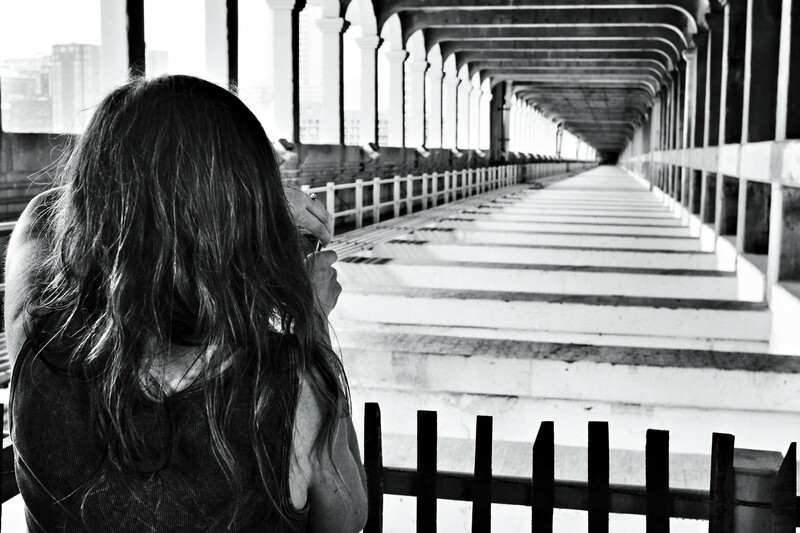 All cities, no matter how great or small, have something to offer the street photographer. And Cleveland is no different. Like many cities throughout the US, young people are beginning to move back into the city to make what once was a veritable ghost town into a vibrant metropolitan center. The city has become so popular it’s very difficult to find an apartment and almost impossible to find condominium in the downtown area. Streets that were once deserted at night are now busy with the daily life of people who live and work there. 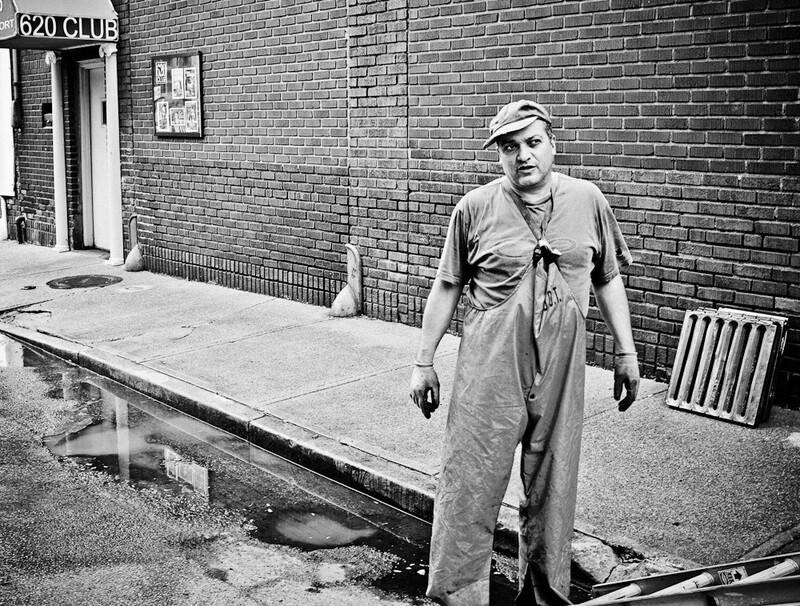 This activity creates many opportunities for the street photographer. 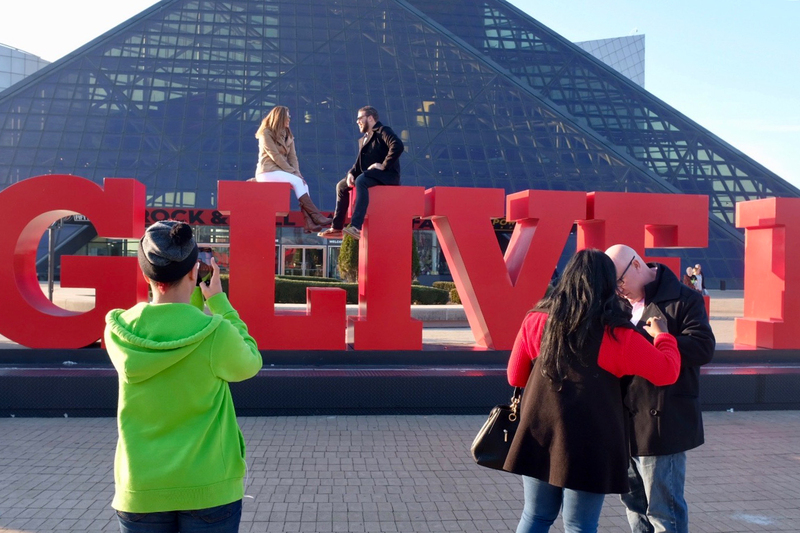 Cleveland also has developed its lakefront, anchored by the Rock and Roll Hall of Fame, which creates a very active tourist center and is an excellent place to shoot any time of the year. The downside is that the winter can be very harsh. Temperatures can change from well above freezing to below zero Fahrenheit within a day, then climb again, leaving several inches of snow melting into a grimy slush. Don’t let this stop you. It’s an excellent place to shoot no matter the weather or season. However the summer weather is beautiful with average temperatures in the low 80s Fahrenheit. Many people from the south visit in the summer time to take a break from the blistering heat. Cleveland is located in northern Ohio on the south shore of Lake Erie, one of the Great Lakes. It’s located just about halfway between New York and Chicago Interstates 80 and 90. If you find yourself traveling from the East Coast to the West it’s an excellent place to stop after a full day of travel. Most people who visit Cleveland are surprised at how active, enthusiastic and interesting the city really is. 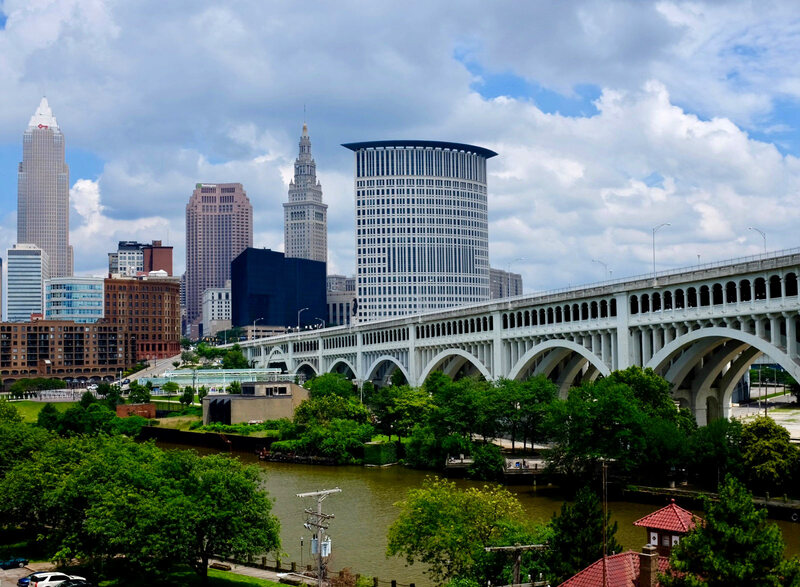 Cleveland Metropolitan area is pretty large, with over 2 million people, however, the city itself is under 400,000. Here I’ll concentrate on my favorite spots within the city limits mostly downtown and the near west side. Beyond that area there are many excellent places to shoot on the street but that’s for another article. I struck up a conversation with this guy as finished working on an air conditioner in this alley in the Warehouse District. He was nice enough to allow me to make his portrait. After spending over 40 years here I will be leaving soon. 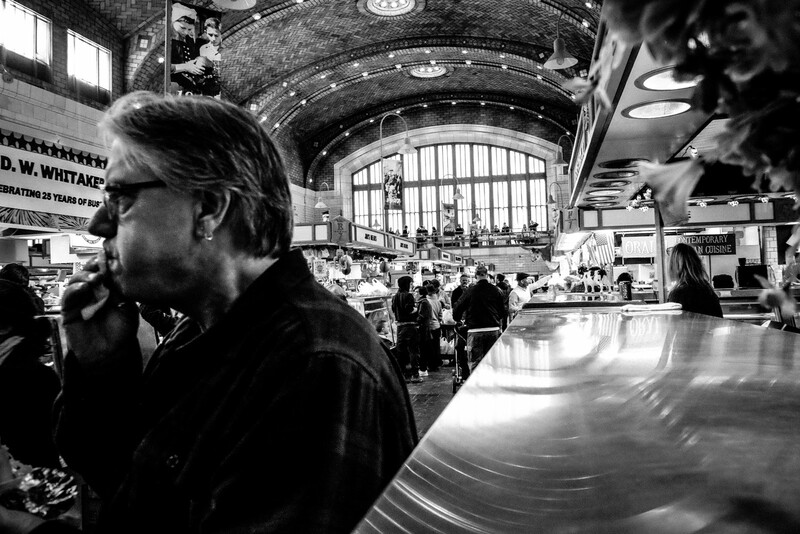 This has caused me to think about what a street photographer would like to see while visiting Cleveland. As I interview photographers from around the world I frequently asked them what are their favorite places to shoot in their city. I thought it only fair to share my favorites with you. While only scratching the surface, I’ll show you 4 centrally located areas areas that easily walkable from one to the other. Plus I created a map of a 3-mile street photo walking tour loop that you may enjoy. Even on a busy weekday, downtown Cleveland can seem like a ghost town, with most people holed up in their offices. Although many people are moving back into the city, we don’t have the population density of New York, Chicago or Washington. My purpose here is to share some of my favorite spots where you can find people, activity and interesting architecture to make some good street photos. I’ll show you where to go, finding the shots is up to you. Cleveland’s historic West Side Market located at the corner of West 25th Street and Lorain Avenue on Cleveland’s west side was completed in 1910. It is the oldest continuously operating municipally owned market in the city. It is also one of my favorite areas to shoot in the city and will be sorely missed after I leave. I like the market because it is always busy, is full of very interesting people and provides an excellent place to shoot year-round. Inside the market are dozens of booths that sell countless items of ethnic foods that demonstrate the cultural diversity of the city. Plus, it’s a great place to grab a sandwich and sit in the balcony to watch the action below. You can easily spend an entire day in this one location. Keep in mind that it is closed on Tuesday and Thursday and parking can be difficult. Across the street from the market is Market Square Park that hosts a variety of small events during many weekends throughout the year. This is also an excellent spot to capture some interesting street photos. One of my favorite spots in the entire city is the Great Lakes Brewery located on Market Avenue a few steps from the park. Great Lakes makes some of the best craft beer in the country so I recommend checking it out. The bars inside alone are worth a visit. Inside you’ll find a tiger mahogany bar from the 1860s. The beer cellar downstairs is called the Rockefeller Room, which is named for Clevelander John D Rockefeller, the founder of Standard Oil, who is reported to have worked in the building at one time. I don’t recommend eating there. The food isn’t very good and there are many other good choices a few steps away. If you prefer something different W. 25th Street near the market is known as the craft beer hub of Cleveland. You have a choice of several different small breweries that can keep you busy for an entire evening (take a cab when you’re finished). 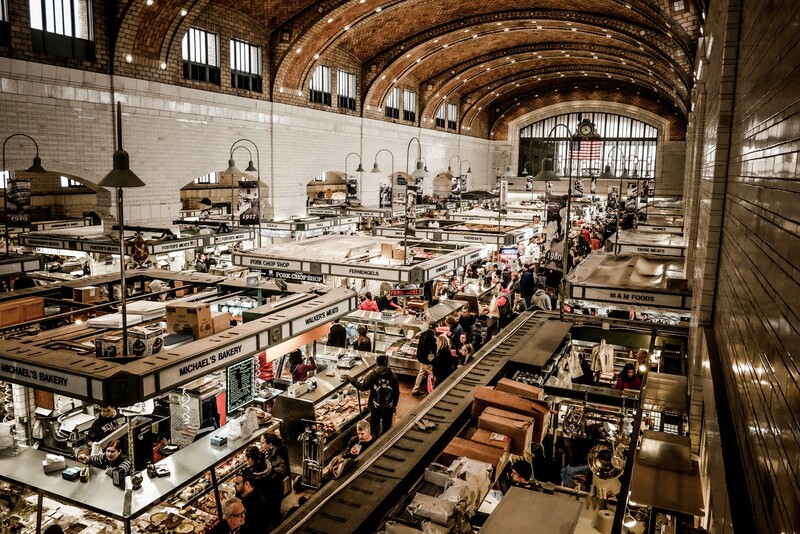 The West Side Market area anchors a section of the city called Ohio City. This lively urban community was formerly a pretty dangerous part of town. However, beginning in the late 1970s urban pioneers began to move back into the area and renovate the older homes. Many of them dealt with crime and blight for a number of years before gentrification took hold. The area now is home to many beautiful renovated houses on very walkable street in close-knit community. While gentrified areas are not always a good for street photography it’s an excellent area to take a walk on a nice summer day. Cleveland’s Public Square, located at the intersection of Superior and Ontario downtown is the geographic center of the city. 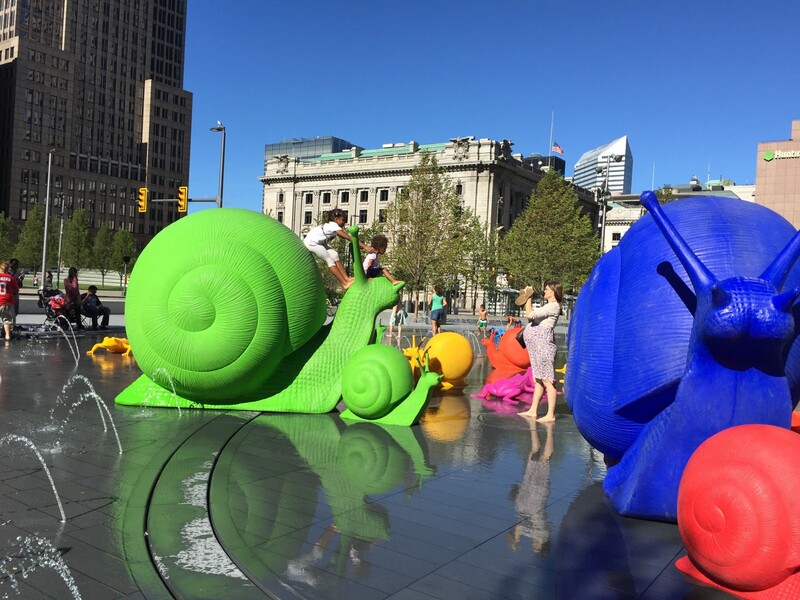 Recently renovated prior to the Republican National Convention in 2016, Public Square is now a 10 acre park that can be a good spot for street photography. It’s also the public transportation (bus) hub for the entire metro area. On the north side of the square are two very interesting older buildings that can serve as interesting backgrounds for street portraits. The Old Stone Church and the historic Society for Savings building. If you have an opportunity to visit either of these buildings it’s well worth the time. To the south of Public Square is Terminal Tower/Tower City Center. Terminal Tower at one time was the second tallest building in the world, but not so anymore. 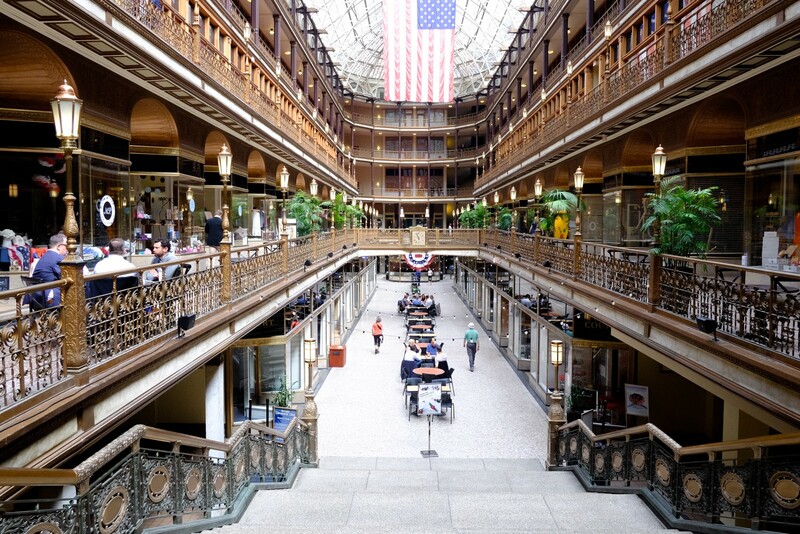 This structure, built in the 1920s, has a beautiful lobby which connects to the Tower City Center indoor shopping area and food court. 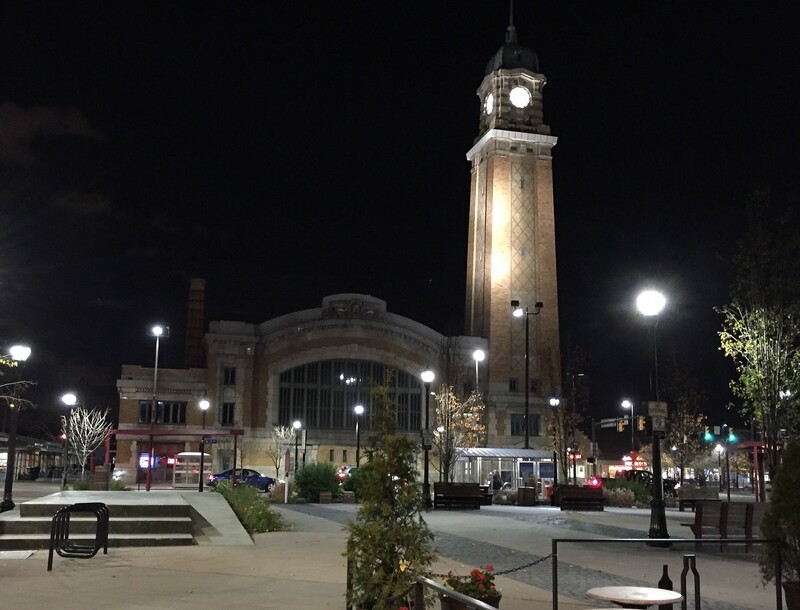 Originally, it served as the city’s central train station but now is the hub for our light rail system, the Rapid Transit (that’s a misnomer) which terminates at Cleveland Hopkins Airport on the west side and several suburban locations to the east. This makes it a very good spot for street photography, particularly during inclement weather. On the east side of the Terminal Tower building is the Jack Casino, which is housed in the former Higbee’s Department Store that was featured in the famous Cleveland based classic movie, A Christmas Story. The casino is a good place to visit if you have some extra cash that you’d like to give to a multi-millionaire. However, I believe they frown upon taking photographs inside. So this may be a good place to skip during your tour. I also suggest you pay a quick visit to The Arcade just 4 blocks east of Public Square which spans Superior Avenue and Euclid Avenue. This is not a video game hall but rather one of the first original indoor shopping malls in the world, built in 1890. Unfortunately many of the retail spaces are currently vacant, but the architecture is absolutely beautiful and it’s a very popular shortcut for people to take between two very busy streets. It’s a short walk from the square and well worth the time. We don’t have a huge tourist trade Cleveland, which is too bad because there are many interesting things to see here. But one of our most famous attractions is the Rock and Roll Hall of Fame located on the lakefront at East 9th Street. 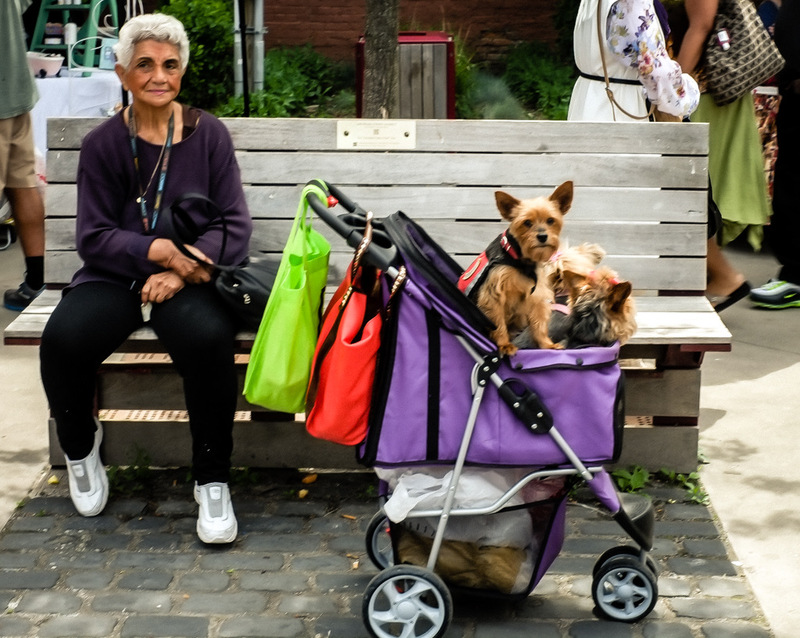 If you are uncomfortable photographing strangers on the street, then it’s good to visit a place with lots of tourists. Everyone has a camera, they are all taking photos and you won’t seem out of place doing the same. And you will find no shortage of colorful tourists at the rock hall. After all, these are rock and roll fans. The large courtyard in front of the rock hall is always a busy place with many people coming and going and taking photographs in front of the unique IM Pei designed building. In fact, photographing the outside of the building used to be verboten. They Rock Hall pooh-bahs eventually realized this was unenforceable and very bad for PR, so they backed off. 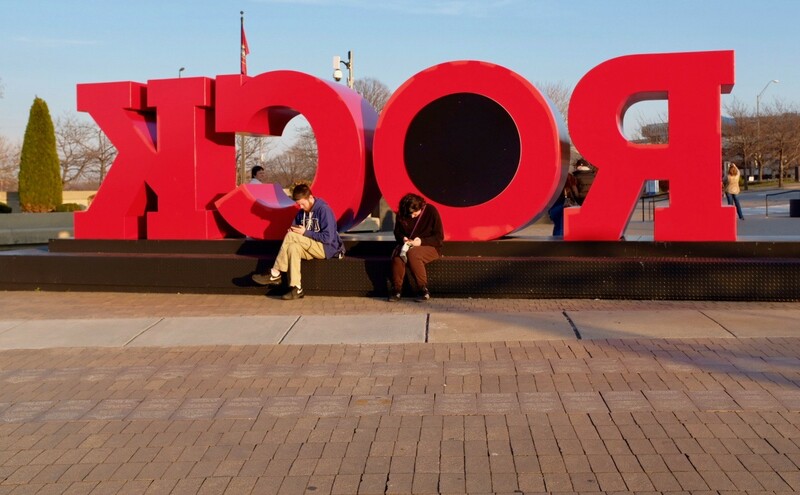 A couple poses for a photo in front of the Rock and Roll Hall of Fame. Many of the visitors are big-time rock ‘n roll fans you can find them dressed in any number of unusual fashions. It can be quite interesting. You can even go inside without buying a ticket. The large gift shop (really a store) is always busy with people shopping for memorabilia, t-shirts, album cover replicas and other assorted rock related geegaws. If you’re into album covers and guitars then by all means buy a ticket and look around. Otherwise, enjoy the free stuff and take some photos. It also includes the coffee shop and bar which you can visit without without paying an entrance fee. The lakefront patio, which features a beer garden and food trucks, is always a good spot on a warm summer day. 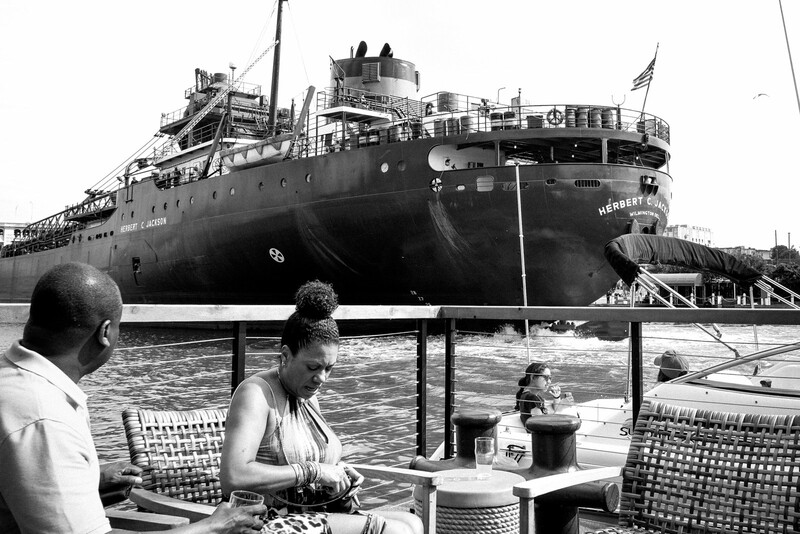 It’s perfect for people watching and street photography against the backdrop of either Lake Erie, a giant ore boat or the rock hall building itself. But if you’re serious about taking an adult beverage break, check out the Nuevo Modern Mexican & Tequila Bar just behind the rock hall at 1000 East 9th street which is at the end of the pier. They have an excellent view of the city, waterfront and rock hall building. It is a little pricey, so be forewarned. Just to the west of the Rock and Roll Hall of Fame is the Great Lakes Science Center which also attracts large crowds. Once again, you are welcome in many parts of the building without having to purchase ticket. Personally I like to pop in and buy a cup of dippin-dots, which is freeze-dried ice cream. Yum. Beyond the science center you can’t miss FirstEnergy Stadium which is the home of the woeful Cleveland Browns (our lovable losers). Although the Browns are having a bad season this decade, the stadium sells out every game attracting 70,000+ loyal (masochistic) fans. On game day, nearby parking lots are full of enthusiastic tailgaters consuming mass quantities of beer, assorted unhealthy snacks and who knows what else from dawn until game time. If you are fortunate enough to be in town during a Cleveland Browns game you must get up early and cruise these parking lots for some very interesting photo opportunities. Just don’t do it wearing Pittsburgh Steelers gear…I mean it. 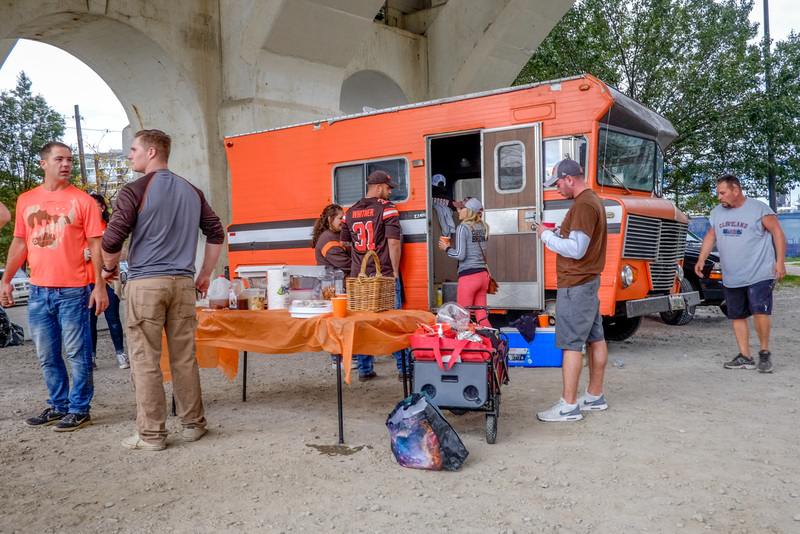 This is a pretty tame tailgate get together before a Cleveland Browns game. Even with only winning one game (so far) in the last 2 seasons, Cleveland Browns fans never turn down a chance to party. And I would be remiss in not pointing out that the lakefront area includes The Steamship William G. Mather (The Mather) is a retired Great Lakes freighter converted to a museum. It’s part of the Great Lakes Science Center and docked right next door. You can’t miss it. On a nice summer day it’s another great spot for street photography. Note, it’s closed during the winter. You can easily spend an entire day photographing in this part of the city. Be sure to bring plenty of memory cards, batteries (or film of course). Cleveland is bisected by the Cuyahoga River. That’s a native American name meaning “crooked river” which you can see from the map is aptly named. The river, which is in a deep valley below the level of the main city, is spanned by an eclectic collection of bridges. These alone are excellent photography subjects. Here’s a view of the river and a few bridges from the East Bank of the Flats. The Cuyahoga River is used to transport iron ore and limestone to the still steel mills upriver. In order for the large or boats to reach their destination these small bridges were built to move out of the way to enable passage for the giant ore boats. Some are lift bridges, some swing to the side, others raise one end up to a 90 degree angle and I believe there are a couple draw bridges. Although I have rarely set out to these bridges individually, you can see some of them in the background is some of my photos here. The river over time has cut a deep valley which is spanned by several large high-level bridges. The land within the Valley along the river banks is known as The Flats. In earlier times, the flats area consisted of small factories, docks and businesses that serviced the marine industry. Today, most of The Flats is an entertainment area with bars, restaurants, shops and some very nice walkways. The backdrop to all of this is that series of bridges. Whether you’re going for a drink, dinner or just a walk along the river, The Flats is well worth a visit. The east bank of the Flats, which is the newest development along the river, is a short walk from the W. 10th Street in the Warehouse District off W. 10th St. either by walking west on Main Avenue or St. Clair Avenue. Both will dead-end into old River Road which contains many of the bars and restaurants. Whenever I visit a new city I love to either take a walking tour or find a an interesting self-directed walking tour with excellent photo opportunities. Since I’m sharing my city with you I thought I would show you my favorite photo walking tour of the downtown Cleveland area and west side. I call it the Cleveland Bridge Loop Photo Walking Tour. I created a Google map that shows the route and suggests a few side trips that can give you some interesting photo opportunities. This dynamic tour map is a work in progress and will change over time. Please note that this tour should be taken on a nice day because you will be crossing two long high-level bridges that can leave you exposed to the elements. This tour is a circle, meaning you can begin anywhere along the route and and finish in the same place. My recommendation is to begin at the West Side Market located at the corner of West 25th Street and Lorain Avenue. Spend some time in and around the market and if there’s something going on in Market Park Square, across the street check that out as well. When you’re ready I recommend you follow the walking tour clockwise by heading south on West 25th Street. So get moving. On the map you will see a short side trip that begins at the corner of W. 25th Street and Detroit Avenue that follows the old Superior Viaduct. This is the remnants of the first high-level bridge to cross the Cuyahoga River valley. It was built in 1875 and was the main route that connected both sides of the city until the 1920s. Most of the bridge has since been removed but the surviving arches are very interesting. What remains is now a street that ends in a very small park which provides one of the most iconic views of the city skyline. This quirky little street can provide you with some interesting photo opportunities along the way. If you’re not in a hurry (and why should you be during a photo walk) it’s worth the time. Crossing the Veterans Memorial Bridge (aka the Detroit-Superior Bridge) is an excellent walk in itself because you can see many of the bridges in the river valley. This bridge is actually two levels. The upper deck is for automobile and pedestrian traffic. The lower was used for street cars until 1954. It’s been closed ever since, but the Department of Public Works opens it to the public every few years for subway tours. It is super cool and not to be missed if you’re lucky enough to be in town when this happens It usually happens in August. 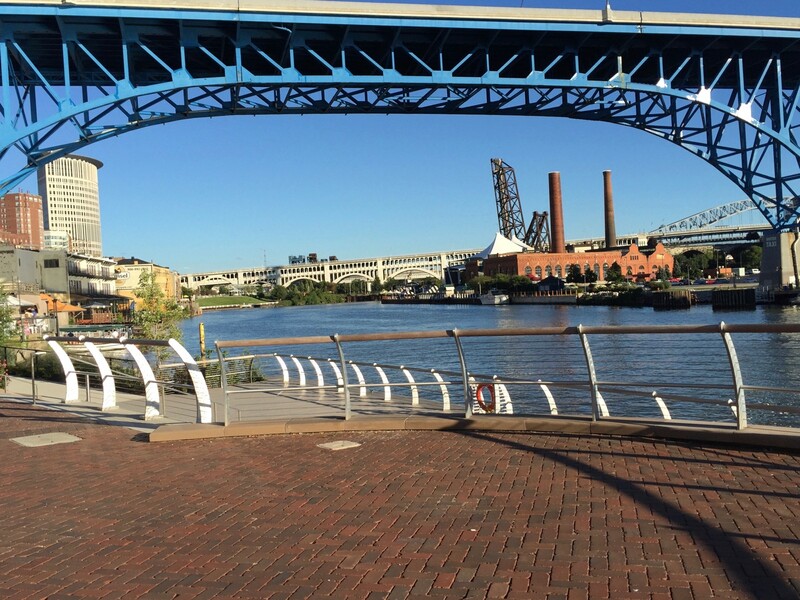 After crossing the bridge you will continue east on Superior Avenue which turns into Cleveland’s Public Square. This area was renovated prior to the 2016 Republican National Convention and expanded into a 10 acre park. It is also the geographic center of the city dividing the east side from the west side (they’re like two different cities). On a nice day this park can offer you many interesting photographic opportunities so if it’s busy, hang out for a while and see what happens. It’s also the transportation hub for the city where commuters catch buses in all directions. This alone can make for some good street photo opportunities. If you’re ready to take a break I recommend visiting the REBOL coffee shop located within public square. The coffee’s good and it’s an excellent place to do some people watching during your break. For more information about this busy area see the Public Square / Terminal Tower / Tower City section in this article. As you continue on the tour, follow Ontario Street, South which will take you past Quicken Loans Arena, the basketball home of the Cleveland Cavaliers and LeBron James then past Progressive Field, home to the Cleveland Indians. If you’re here on game day, you’re in luck. Before, after and even during a game the streets around these venues are bustling with activity. If not, there isn’t much to see along this busy street. Keep walking as it will take you to one of my favorite walks in all of Northeast Ohio. 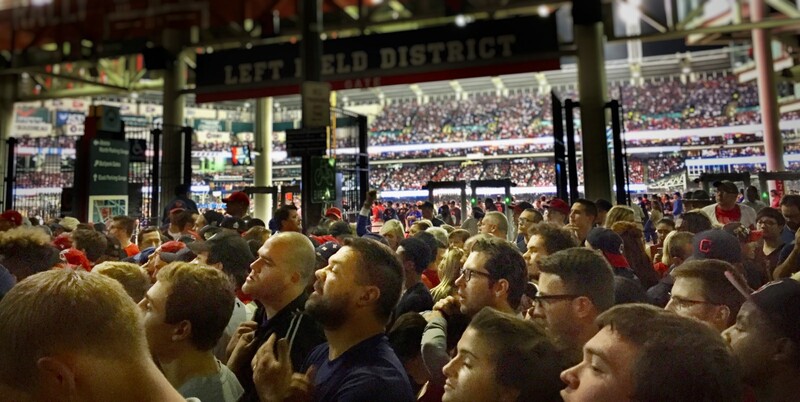 Cleveland Indians and Chicago Cubs fans gather outside Progressive field to view Game 7 of the 2016 World Series on a giant video screen. At the southern end of Progressive Field turn right onto Carnegie Avenue and you will walk right onto very interesting Hope Memorial Bridge. Just a few years ago the city renovated the bridge and created a 14 ½ foot wide protected walking and bike path which makes the stroll across this 5200 foot span very enjoyable. The bridge is named for a stonemason who helped build the structure in the 1920s. His name was William Henry Hope who was the father of Bob Hope. The bridge is also known as the Lorain-Carnegie Bridge because it connects the two streets on either side of the river. The most interesting thing about this bridge are the Art Deco style pylons called “Guardians of Traffic.” These statutes provide some excellent photo opportunities in the right light. A longer lens would be very handy to photograph them. Continue across the bridge and you will end your tour at the West Side Market where the tour began. After walking 3+ miles you may be a little thirsty so I highly recommend paying a visit to one of the historic bars inside Great Lakes Brewing Company on Market Avenue which is the northern border of Market Square Park. Great Lakes Brewery, the first craft brewer in Northeast Ohio, produces some of the best beer in the area. The seasonal Christmas Ale is particularly good (and quite powerful). If I were on this tour with you I wouldn’t allow you to leave until we stop here for a brewski and a look through the photos we took during the walk. It’s one of my favorite spots in the city. I moved to this underdog city over 40 years ago thinking I would only be here for a short time. Instead, this is where I lived the bulk of my life, raised my family and experienced things I would never have imagined. No regrets. As I prepare to move to the sunny south, I realized there are many things that I’ll miss and others I never took the time to see. Although I’ve had a love/hate relationship with this place for the past 40 years, it’s mostly love. The kind that grows over time. This place has a soul and underlying enthusiasm all its own. It’s fun and lively but not in your face like a popular tourist destination. It takes time to find the good stuff and selective amnesia to ignore the warts. It’s easy to see as a casual visitor, but to really appreciate it you need to explore the nooks and crannies over a period of time. 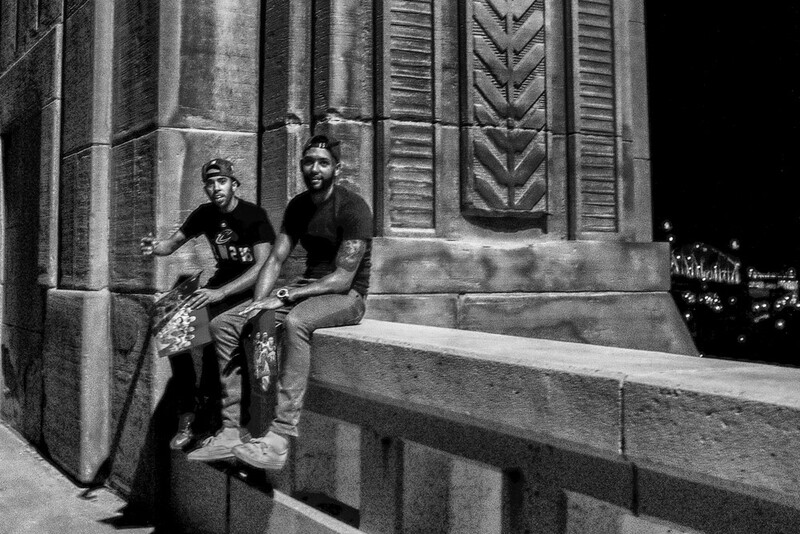 I was downtown Cleveland with my son the night the Cavaliers defeated the Golden State Warriors in Game 7 of the 2016 NBA Championship. This celebration broke out spontaneously throughout the city within seconds of the buzzer. The joy and energy of this night is hard to describe, but this one photo brings it all back for me. Now that I’m preparing to leave I realized that I’ve done a very bad job of using my camera to record my feelings and experiences here with my camera. Too busy with life to capture the things that really matter. It’s probably too late for me now…at least in this place. But it’s not too late for you. Forget about searching for that “iconic image.” Don’t worry about finding interesting things that are visually appealing. Pick up your camera, follow your heart and take the shots. Keep the good ones and the stinkers alike. Grab them all while they’re still around. Regional Transit Authority – Most people drive here, but we do have public transportation that ranges from very good (downtown) to not so good (full disclosure). Stranger Than Paradise – a movie shot in Cleveland in the early 1980s that shows what it’s like here in the winter. A Christmas Story – A classic film shot in Cleveland set in the 1950s. Don’t miss it. 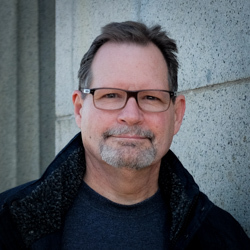 Bob Patterson, publisher of Street Photography Magazine, is an avid street photographer, WordPress developer, martial artist and very curious guy.